Devonshire Dental Care is a beautiful dental clinic located in Glasgow’s West End that has been giving their patients bright and beautiful smiles for over 15 years. This dentist in Glasgow has built an excellent reputation for high quality care and outstanding service. The practice is beautifully and tastefully decorated throughout providing a relaxing, modern but comfortable setting and a warm, welcoming atmosphere. Each surgery is scrupulously clean and fitted with the latest state of the art equipment to provide you with the best quality care using the latest techniques. During your visit each member of the team will treat you with kindness and respect and they will always endeavour to give the highest standards of care. The principal dentist at this dentist in Glasgow is Dr Allan Rennie who qualified from Dundee Dental School, achieved membership of The Royal College of Surgeons of Edinburgh as well as completed a 3 year Diploma in Postgraduate Dental Studies in Prosthetics, Anxiety/Sedation and Periodontics at Bristol University. He also has 6 years’ experience injecting wrinkle reduction treatments and facial fillers. Allan has completed the Scottish Dental Implant Year Course and also a two year postgraduate course in straight wire orthodontics. He is an accredited practitioner for Inman Aligner, Fastbraces technology, Secret Smile Lingual Braces and 6 Months Smiles cosmetic braces. Allan can offer his patients an orthodontic and cosmetic view on treatment options, thus allowing patients to choose the treatment they feel is best suited to their needs. The dental team at this dentist in Glasgow are very highly trained, experienced and multi-disciplined so this practice is able to offer their patients a comprehensive range of treatments – family routine dentistry, dental hygiene procedures, cosmetic dental treatments, Facial Rejuvenation and Oralift. This dentist in Glasgow offers free cosmetic, dental implant or orthodontic consultations as well as transparent treatment costs which are advised to you before any treatment begins. Are you looking to have your teeth straightened? This dentist in Glasgow offers various different orthodontic solutions and specialise in fitting the following braces: Damon Braces, Invisalign, Invisalign Lite, Invisalign Teen, Inman Aligner, Six Month Smiles, Simpli5 and STB Secret Smiles. 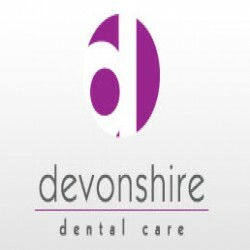 Nervous patients are very welcome at Devonshire Dental Care – they offer a gentle touch and make sure you feel as relaxed as possible, and additionally offer IV sedation – a wonderfully calming, safe procedure that alleviates your worries administered by a qualified professional. Sedation can make things a whole lot more bearable and make sure your teeth get the attention they deserve. Also if a nervous patient is sedated it can make it a lot easier for the dentist to get on with their job especially if the treatment is extensive and requires multiple visits. Devonshire Dental Care is located in the West End of Glasgow on Hyndland Road. The surgeries are on the ground floor and there is on-site parking as well as on road parking at this dentist in Glasgow which means that visiting is convenient and easy. If you are planning on using public transport then Hyndland train station is within walking distance and the practice in situated on several bus routes with a bus stop right outside the front entrance. For your convenience Devonshire Dental Care has early morning and evening appointments available so that your appointments are easier for you to fit into your busy schedule. MAP Click here for a map.